The state of Washington is home to the popular Seattle Seahawks, perpetual rainy weather and one of the largest temperate rainforests located in the United States. Residents of the Evergreen State love their Seahawks, and are avid sports fans in general. We do not find it surprising in the least that legal USA online sportsbook gambling is rather popular in this state. The legal landscape of gambling is pretty clear in Washington until you look at online sports betting. US-based online sports wagering is restricted through US gambling laws, but what about licensed offshore sportsbooks? What do Washington state laws have to say on the matter? 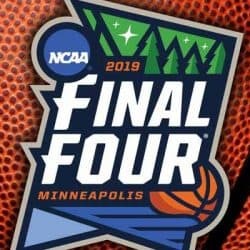 Are there any legitimately licensed online sportsbooks that Washington residents can legally access and place bets at? These questions and more will be answered here through direct, no-nonsense explanations provided by a seasoned team of industry professionals who have a combined range of experience that spans decades. This page not only addresses the legal status of online sports betting in Washington but also provides information about those best online sportsbooks that allow US residents, including those located in Washington, to place bets online through their websites. 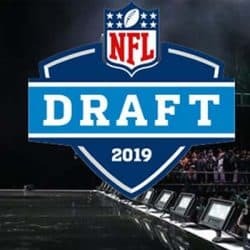 It is our sincere desire that after reading through this guide, you will be able to make an informed decision concerning sports betting entertainment and how it relates to your specific set of circumstances. It isn’t our job to be for or against this type of betting action, we simply present the facts as we see them so that you can make your own decisions. As home to the Seattle Seahawks, the state of Washington definitely has bragging rights when it comes to sports prowess. There is a healthy interest in sports betting in this region, and BetOnline Sportsbook is one of the premium destinations that accepts bettors from Washington. Football betting lines are readily available with competitive odds and paylines. 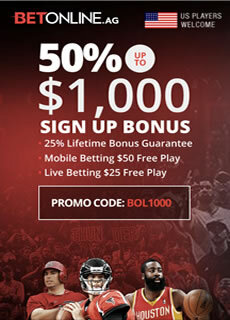 They are legitimately licensed and regulated, offer a wide selection of betting lines, odds and paylines, and provide one of the larger sportsbook welcome bonuses in the business but it is their 25% lifetime bonus that really sets their promotions apart from the crowd. They have spent decades earning a stellar reputation for treating their customers like gold. There are two primary US sports betting laws that govern this type of entertainment in the United States. These federal laws intersect with state laws to create a relevant legal landscape of the gambling market in each state. This is how it works in every US state, including Washington. The two federal regulations that apply to sports betting are the Federal Wire Act and the UIGEA. These two laws combine to effectively prohibit US-based online sports betting in most states, including Washington. US-based online gambling is not the only option on the table though. To be clear, there are no US federal laws that prohibit Washington residents from enjoying online sports betting as long as they are placing bets at legitimately licensed and regulated online sportsbooks that are located and operated outside of the United States. Neither of these federal laws has any bearing on offshore sports wagering. 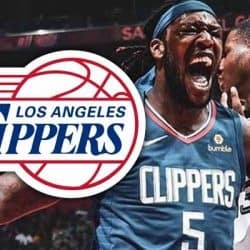 This means that sports fans in the US can enjoy online sportsbook gambling at legally sanctioned offshore destinations without violating any US federal laws. Washington is somewhat unique when it comes to online gambling because it is one of the few states in the US that has bothered to address online gambling in their statutes. Washington has a law on the books that prohibits any type of online gambling within its borders. The resources required to monitor Internet activity for an entire state or enforce this law would be more than considerable, and the state has neither the interest nor the resources to do so. It is extremely unlikely that anyone who participates in online gambling from licensed offshore destinations would ever find himself or herself faced with any legal problems. 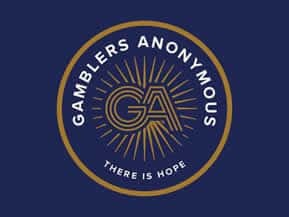 However, while it has not yet happened and probably never will, we cannot tell you with 100% surety that it is entirely impossible that anybody would ever be charged with a crime for gambling online in Washington. Technically, it is illegal, realistically the state simply doesn’t seem to care about it as long as there are no illegal online gambling operations springing up within state borders. Should you attempt to participate in unregulated and unlicensed gambling entertainment, it is very likely that law enforcement will have something to say about it. Are There Any Casinos in Washington? There's no real sense in listing every Washington casino here. There are literally over a hundred of them that you can find within the state. We'll go through and name off a couple of popular and newer casinos that they have, but if you want the entire list you're going to have to check out another resource elsewhere. It would take another 4,000 words to properly touch on every one of Washington's casinos, and nobody wants to spend their entire day here reading about casinos. So suffice to say that Washington does embrace gambling and that you can find some great casinos within the state. Some of the sports bars and casinos in Washington include RC's Restaurant Casino Sportsbar, which is a blend of slots, table games, poker and sports. The Slo Pitch Sports Grill and Casino, Jokers Casino and Sports Bar, the Oak Bowl Sports Lounge and Card Room, and more. You also have some very big casinos in the state, such as the Mill Bay Casino in Manson, or the Muckleshoot Casino in Auburn. No matter where you go in the state, you definitely have some live gambling options. The Seattle Seahawks franchise joined the NFL in 1976 and have played their home games at CenturyLink Field since 2002. The Seahawks have won 10 division titles and have appeared in three Super Bowls, winning their first and only in Super Bowl XLVIII during the 2013 season. Seahawks fans are often referred to as the “12th Man” when the team is playing in Seattle due to the home field advantage the team has because the crowd noise “acts as a twelfth Seahawks player on the field.” In fact, the noise generated by the crowd set a Guinness World Record for the loudest crowd at a sporting event during a 2013 Monday Night Football game against the Saints registering at 137.6 dB. The Seahawks finished with a record of 9-7 at the end of the 2017 season and missed the playoffs for the first time since 2011. Starting QB Russell Wilson had a brilliant 2017 and was an MVP-candidate throughout most of the year, but the franchise decided to rebuild the team during the offseason. Several Pro Bowl players are no longer with the team, which include DB Richard Sherman, DE Michael Bennett, SS Kam Chancellor, and TE Jimmy Graham. If that wasn’t bad enough, Pro Bowl FS Earl Thomas is holding out and wants to be traded to the Cowboys. Head coach Pete Carroll enters his ninth season with the team, and even though many sportsbooks have the Seahawks finishing in the bottom-third of the NFL, there isn’t really anyway Carroll can right this ship with so many players being dumped by management. Bet on the Seahawks being one of the worst teams in 2018 with so little talent being left on the roster. The state of Washington is home to two college football programs, the Washington Huskies, who began playing in 1889 and are located in Seattle, WA and the Washington State Cougars, who began playing in 1893 and are located in Pullman, WA. Both compete in the Pac-12 Conference, and the two in-state rivals first met in 1900, playing 110 times since then. The rivalry is known as the “Apple Cup” because of Washington being a major producer of apples. Today, the game is played as the last game of the season for both teams and the Apple Cup Trophy is presented to the winner by the state’s current governor after the end of the game. The Huskies come into the 2018 season as one of the favorites to win the national champion after making the playoffs in 2016 and narrowly missing the playoffs last season. Head coach Chris Peterson is one of the best coaches in college football and starting QB Jake Browning returns for his senior season, hoping to improve his stock before entering the 2019 NFL Draft and leading the Huskies to their first national championship since 1991. The Huskies are likely going to make a deep run and appear in the College Football Playoff, but whether they have enough depth and can challenge the likes of Alabama, Clemson, etc. in the CFP is not likely. Betting on the Huskies to win the Pac-12 is probably a good bet but having them going further than that is a bit of a stretch. After finishing the 2017 season with a 9-4 record, the Cougars are going to likely take a big step back in 2018 and the odds at most sportsbooks reflect this, having the team finish near the bottom of the Pac-12. Head coach Mike Leach enters his seventh season with the team, but he is losing a ton of talent, including QB Luke Falk, WR Tavares Martin Jr., WR Isaiah Johnson-Mack, All-American offensive lineman Cody O’Connell, and All-American defensive lineman Hercules Mata’afa. If that wasn’t enough, he also had to cope with a player committing suicide earlier this year and roughly half of his assistants leaving for promotions at other schools. Leach air-raid offense will likely get the Cougars 7-8 wins this year, so placing them near the bottom of the Pac-12 is a bit low. However, betting on them to contend for a Pac-12 is unthinkable but maybe not entirely impossible when considering Leach coached teams are always competitive. Also, don't forget that Washington is the home of the Gonzaga Bulldogs, a very good D1 men's college basketball team that is always in the March Madness tournament and always manages to make noise. If you're in Washington state, then know that the Seattle Seahawks will be a decent bet going forward. However, in terms of betting, we advise you to step away from the fan angle and to bet based on statistical likelihoods of a team winning. It doesn't mean you don't love your team; it just means you want to win money.